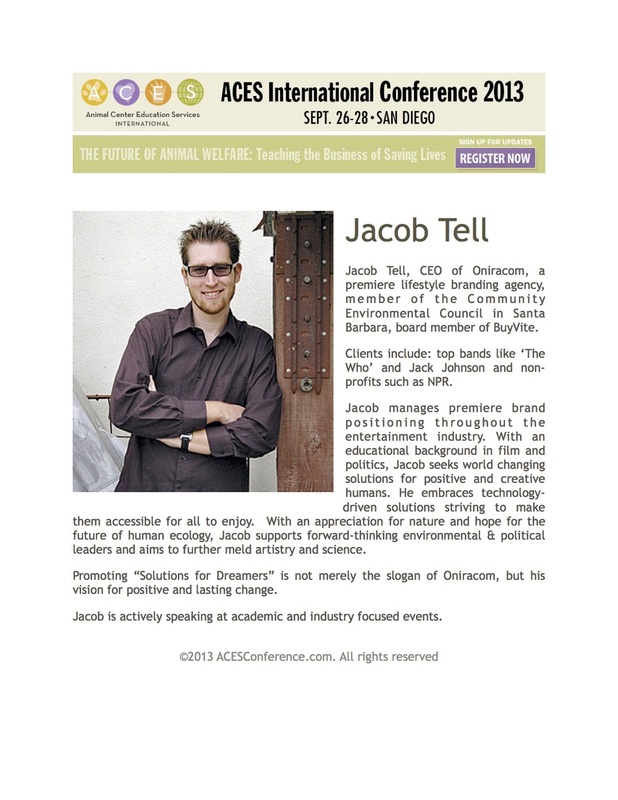 This Thursday, Jacob participated in the 2013 ACES International Conference held in San Diego. The conference, put on by the Animal Center Education Services, took place over the course of two days focusing on "the business of saving lives." Jacob spoke about the Must-Know Principles and Trends for Non-Profit Websites and participated in an "Ask Us Anything" Panel. 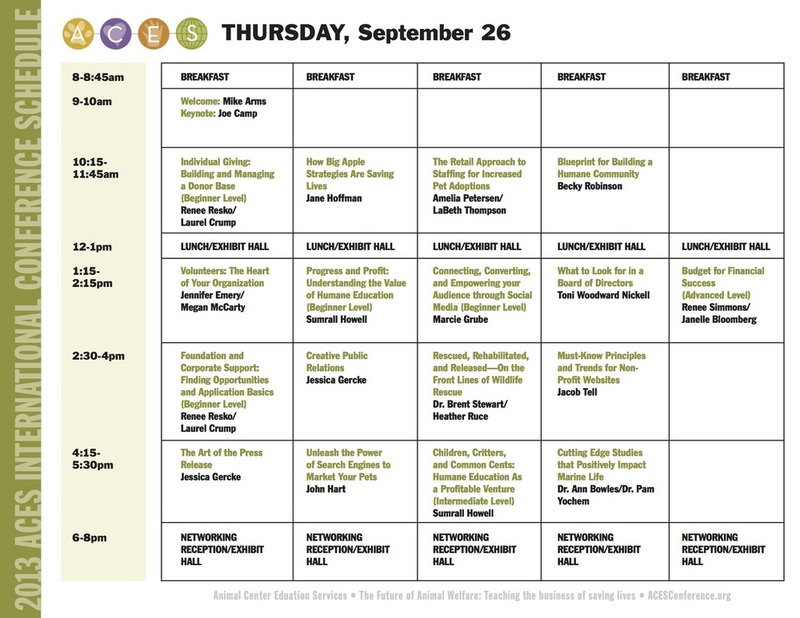 Check out his professional spotlight and schedules of events below, and click them to enlarge the images!